Buy your Saturday night Lotto tickets and check Lotto results right here ! 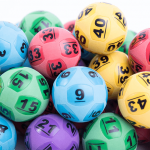 They call Saturday Lotto “Tattslotto” in Victoria, Australian Capital Territory, Northern Territory and Tasmania. It’s called “X Lotto” in South Australia, “Gold Lotto” in Queensland and just simply Lotto or Saturday Lotto in Western Australia and New South Wales. Sure it’s a game of many names, but they all still refer to the same thing, Australia’s weekly Saturday draw. 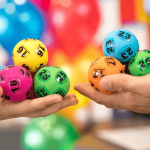 Saturday Lotto allows players to choose a minimum of six numbers in an attempt to win at least $3 million in each weekly draw. There are various game modes available. The first one is the Standard Entry where a player chooses six numbers per game panel. The selected numbers can either be input manually or via the randomly selected Autopick option. Autopick lets the computer decide which numbers a player needs to watch for in the weekly draw. There is also the Multiweek Entry option for players who wish to buy their lotto in advance. Players can choose from 2, 5, 10 or 25 week advanced entries – perfect for those looking for convenience and to save time not going back to the lotto or newsagent each week to buy their lotto and lottery entries. Then there is the Systems Entry, which allows players to select more than six numbers to use in the Saturday Lotto. Players can choose from seven up to twenty numbers in a systems entry, which naturally provides a much better chance of winning the draw. Of course, the costs of a system entry vary considerably due to the obvious higher probability of winning the lottery, but the end costs are also based on the amount of numbers selected. A total of six prize divisions cover each Saturday Lotto draw. The top or first division prize in Saturday Lotto is the jackpot and it is won by having all six winning numbers in the same game of your lotto entry. Lesser prizes for divisions two to six can also be won when having a combination of less than six numbers ina single game panel, as required for the draw. When Can I Play Saturday Lotto? For Oz Lotteries, a NSW Lotteries reseller, draw close time is at 6:30pm (AEDT). For Tattersalls and Golden Casket, entries close at 7:30pm (6:30pm DST). Ask your state lottery about your area’s draw close time. To purchase your Saturday Lotto tickets online, simply click here now. How much does it cost to play Saturday Lotto? Reminder: Prices vary, depending on the state lottery. Tattersalls has its own detailed price list, which you can view here. The SA Lotteries price list can be accessed here. The Golden Casket price list is shown here. The NSW Lotteries the prices can be seen here. You can then either select your own set of regular and supplementary numbers, or ask the retailer/website for randomly generated ones. Playing a standard game is done by selecting six regular numbers and two “supplementary” numbers from a selection numbered 1 to 45. Eight will be randomly selected by the lottery company. If your numbers match the ones selected by the lottery company, you win the game. You can also try playing multi-week entries for other days of the week, using the same numbers for several weeks at a time. A “systems entry” lets you choose more numbers per game. Since you choose more numbers, your chances of winning increases. 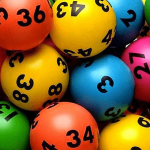 Saturday Lotto is the granddaddy of lotteries in Australia. It was the first of its kind in the country. Tattslotto is based on those old European-style lotteries where six numbers were chosen out of 40 in a regular game. However, starting June 6, 1985, the current format of six numbers from 45 was introduced to reduce the odds of winning. The first Tattslotto draw was held on June 24, 1972. At that time, the first division prize was AUD50,000. Using the Reserve Bank of Australia’s Inflation Calculator, the original AUD50,000 first division prize was worth around AUD 470,454.55 in 2013. Interestingly, the current average first division prize for Saturday lotto, as of 2014, was approx AUD4 million each week.